LOL. I don't think your hair is crazy :) I think it's beautiful! 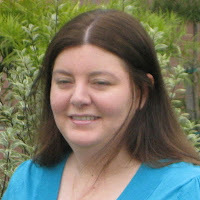 Wait a minute.. "The lovely Morgan Shamy just signed with Karen Grencik of Red Fox Literary Agency"..
WHERE HAVE I BEEN? How did I miss this news? Was it during my move from Utah to Virginia.. cause honestly I blacked out most of that drive. You've been busy! Thanks for the rec on Blood Fugue--I'll have to take a look! I don't know the rainbow wheel of death. I'm assuming from the comments it's a Mac thing. The rainbow wheel of death? Haha I guess not knowing what that is would be a #pcprob (yep, I definitely just used a hashtag on blogger). I'm off to visit! LIZ!!! Hooray! I have no idea what the rainbow wheel of death is...shucks. And Blood Fugue sounds good! Oh, you are a busy girl. Now on to Liz's site. The rainbow wheel would make an awesome candy. What flavor would it be? Mixed fruit? Best of luck to EJ...headed over to read interview now! I don't know this rainbow wheel of death. I think I'm very afraid! 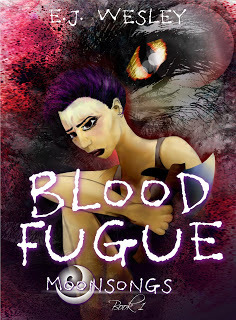 BLOOD FUGUE caught my attention at the mention of "Apache." :) Will look into it. Meanwhile, I'll go check out your guest post! But wait, me no know what the Rainbow wheel thingy is... must be a Mac thing. I hate that spinning pinwheel of death! Somehow it manages to be even more annoying that that old blinking bomb on the vintage Macs I grew up on. Even worse was how the computer would make a sound when you tried to press the mouse or any key as the bomb was blinking. Never used a Mac, but from the sound of the rainbow wheel it must be very annoying! Great interview! Congrats again on your agent. Can't wait to read E.J's book! Great interview and congrats on getting your agent! Feh - on the rainbow wheel of death. I groan every time it makes an appearance - evil harbinger of tech-disaster. I wish I had a great view to gaze out at when I'm working out story ideas. I mostly stare at the wall and imagine it's something more beautiful. haha. Great interview. Congrats on being a one year old blogger! I'm off to check out your post. I've never heard of the rainbow wheel of death... off to check your interview!